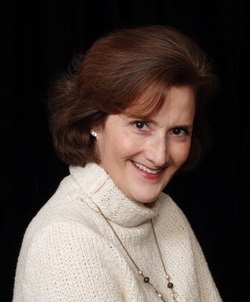 Dianne Richoz Barclay, L.Ac., Dipl.Ac. Dianne has an MBA and worked as a CPA for over 20 years. As a CPA, specializing in tax and wealth management, she felt increasingly out of balance. Searching for a career that would allow her to care for herself and others, she studied Nutrition at the Institute for Integrated Nutrition, where she earned certification as an Holistic Health Counselor. Not long after that, Dianne decided to pursue a Masters degree from the Tri-State College of Acupuncture, one of the oldest Chinese medical institutions in North America, where she graduated with honors. Further interested in exploring the source of the medicine she was studying, Dianne traveled to China and studied at the Beijing Traditional Chinese Medicine University, one of China's top medical colleges. While there, she also visited and studied at several Beijing hospitals and clinics, participating in daily rounds and lectures. Dianne completed an Advanced Certificate in Chinese Herbal Medicine in 2016 at The Won Institute in Glenside, PA. She is nationally Board-certified as a Diplomate of Acupuncture by the NCCAOM and is licensed in Vermont, New York, and Pennsylvania. Dianne served as a member of the Board of Directors and Treasurer of The Vermont Acupuncture Association from 2013 to 2016. Dianne is trained in several styles of acupuncture: Traditional Chinese Medicine (TCM), Traditional Japanese Acupuncture (TJA), Kiiko Matsumoto (KM), and Acupuncture Physical Medicine (APM), which includes Trigger Point dry needling, also known as Ashi Point Needling. As a result she can choose the style or styles best suited to a particular patient or situation. She allows 90 minutes for the first session and 60-75 minutes for follow up sessions, so she is never rushed and is always able to fully focus on each patient.